Yesterday, while out bird hunting and climbing over another barbed wire fence, in the middle of nowhere, I wondered just how many hundreds of miles of fences are strung across the West. While carefully climbing over, crawling under, and through these fences, I’ve snagged jackets, hats, and gloves on these nuisances. I’ve tripped on old, rusted, camouflaged-in-the-brush, downed ones. Barbed wire has poked my skinny calves and shins through my thick pant legs, leaving me to wonder if my tetanus shot is up-to-date. And my dog has suffered deep lacerations on his tender chest, back, and legs from these danged things. Invented in the 1870s, I know that these fences have their purpose. They changed the West by keeping livestock out of the fields so farmers could grow crops for us to eat, and the railroad needed these fences to keep the cattle off the tracks. Government agencies and private land owners are slowly replacing old barbed wire fences with wildlife-friendly fences that allow large animals to migrate while continuing to contain livestock. 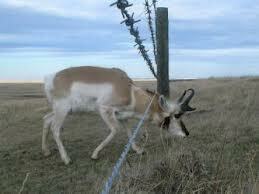 The pronghorn can’t jump over fences, so these new style fences will benefit them the most. All the old fences won’t be replaced in my lifetime but at least it’s nice to know someone is working on it. Remaking fence at particular spots makes a lot of sense. I hate the old fence wire problem: the metal recyclers will not take it, and it’s only practical to pack out if you’re close to a truck. I kind of like seeing the old balls of wire as sculptures, but those are infrequent. Anyway, the fences are a huge investment that have their purposes in history and now; but we can dream of land without them! 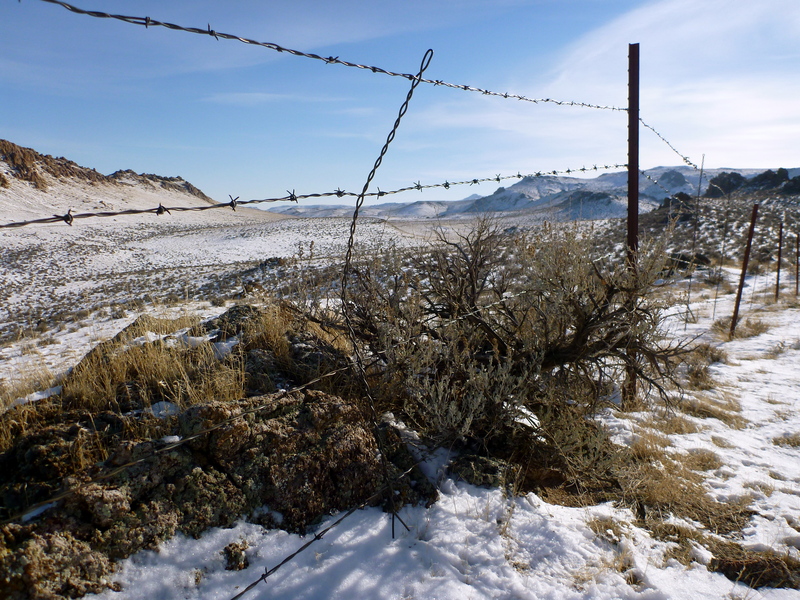 One rancher in this area (away from paved highways) tore down his old fences and got permission to put in cattle guards on the county roads. That solution saved a lot of hassle for animals and people! Marjorie, aunt Bethany’s jello creation was actually from the movie “National Lampoons Christmas Vacation”. However, my real life aunt, loved my moms green jello mold thingy…Yuck! That chicken noodle one and fish mold one sound equally questionable…sorry to those jello fans out there. Didn’t know that barbed wire fences weren’t recyclable. That’s a lot of old fence to dispose. Maybe some ingenious person out there will figure out something to make money off the old fences and make a million!